At River Park on Chicago’s Northwest Side, a concrete dam standing 4 feet high is being prepped for removal. 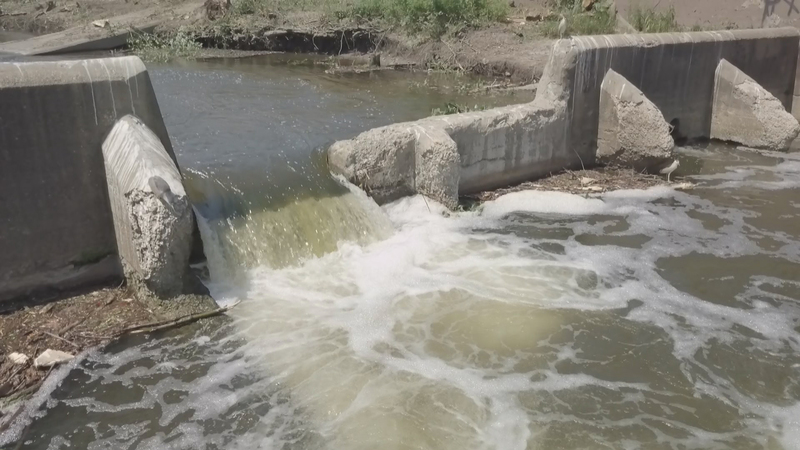 But it’s not just any dam – this happens to be the last waterfall within Chicago city limits, according to Chicago Park District project manager Lauren Umek. Built in 1910, the dam is located at the meeting point of the North Branch of the Chicago River and the North Shore Channel. It prevents fish and other organisms from swimming upriver. As a result, fish surveys conducted by the Park District have concluded very little biodiversity north of the dam, compared to downriver. Another big part of the project is removing non-native plant species that offer little to no food for local wildlife. The invasive species also tend to have shallow roots, creating steep riverbanks due to erosion. Margaret Frisbie, the executive director of the nonprofit Friends of the Chicago River, said the $14 million project will benefit wildlife and people alike. If you plan on checking out the city’s last waterfall, you’d better hurry: A spokesman for the Army Corps of Engineers said the River Park dam will likely be removed within a week or so.